Can’t wait for Google or Asus to launch the Nexus 7 tablet in India? Well you need wait no more. With the power of online shopping, consumers in India can pick up Google’s flagship tablet today. The price you will pay has a slight premium of course. The device has launched in the US for $200 (Rs. 11,000 approx.). 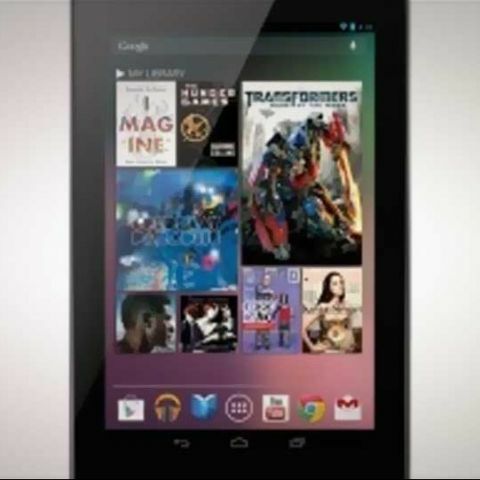 Users sitting in India can buy the 8GB Google Nexus 7 tablet from the Indiatimes online shopping website, for Rs. 16,952. The website also offers users an EMI facility divided in either 3 months or 6 month intervals. The 3-month installment will cost users Rs. 5,651 per month and the 6-month payment plan will cost users Rs. 2,825 per month. The Nexus 7 is currently in stock and will be delivered in 15 working days, shipping free. The device will come with one-year manufacturer warranty. The second website offering the device for sale is ebay.in. On eBay, the 8GB Nexus 7 tablet is priced slightly higher at Rs. 17,690 but the seller received 92.9% positive feedback. This means that you can rest assured that the device would make it to your doorstep in 15 days from order. eBay also gives you an EMI option. You can opt for 3 equal monthly installments of Rs. 5,896.67 or 6 equal monthly installments of Rs. 2,948.33. The third website that is selling the device in India is tradus.com. On tradus.in, the 8GB variant of the device is priced at Rs. 16,990 whereas the 16GB variant is priced at Rs. 22,500. Tradus also offers an EMI of 3 months where the user will have to pay Rs. 5,663 per month for the 8GB variant where as the 3-month EMI for the 16GB variant is Rs. 7,500. The Google Nexus 7 is Google’s flagship tablet device running their latest Android 4.1 Jelly Bean. The device has a 7-inch 1280x800 HD IPS display (216 ppi), 1.2MP front-facing camera, 8 or 16GB built-in storage, 1GB of RAM, a 4325 mAh battery, Wi-Fi and Bluetooth. It is of course, powered by the quad-core Nvidia Tegra 3 processor. Google announced the Nexus 7 at its annual I/O event this year. You can read all the details of the event here. Before you decide to drop your money on the Nexus 7 we would like to inform you that the device has seen its share of faults. The screen of the device has been facing some problems and in certain cases it has even come out of its hinge. You can read our report on the Nexus 7 screen-popping issue here. Note: After contacting Asus Technology Pvt Ltd (India), a spokesperson confirmed that the Galaxy Nexus isn't officially supported (yet) in India. Consumers say: Ice Cream Sandwich is barely here, and now there's Jelly Bean?